I want to preface this critical appraisal of Marvel’s latest offering by issuing an important disclaimer. 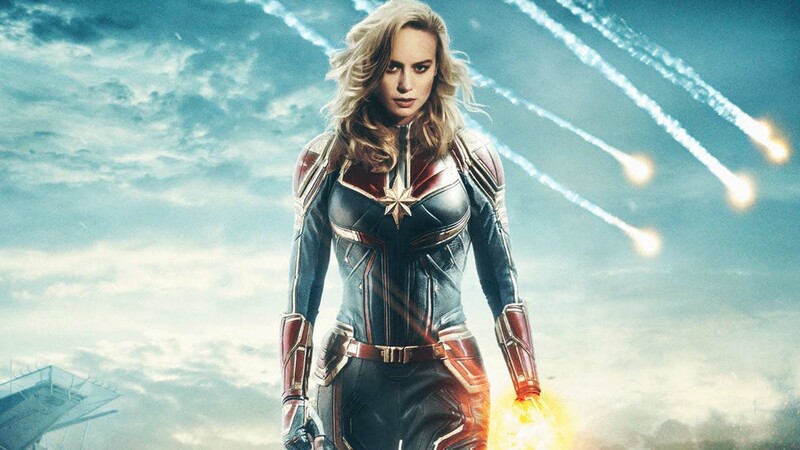 I have no problem with this film as a feminist feature; nor do I have strong feelings about the lead actress, Brie Larson, despite her sexist and bigoted remarks during the promotion of the film. My criticisms lie with the quality of the acting, storytelling and world-building seen in Captain Marvel, and is not a reflection of any opinions held towards the statement that the film is attempting to present. With that out of the way, what better place to start this critique than by examining Captain Marvel herself, Carol Danvers? Danvers is a bland, boring cut-out of a character; the film presents her as possessing little personality beyond her desires for female empowerment in the military. She is eerily-reminiscent of Thor (Chris Hemsworth) before his character took a welcome U-turn during the events of Thor: Ragnarok. Danvers, like pre-Ragnarok Thor, is defined in the end by what they symbolise rather than who they are – in both cases, these characters fail to appeal to the audience because they are comically overpowered. In the climax of Captain Marvel, Danvers is able to singlehandedly destroy the entirety of Ronan the Accuser’s (Lee Pace) fleet. It makes for a gorgeous set piece, sure, but it also minimizes any sense of threat or danger which the climax of a blockbuster film such as this should have. Ronan, who was also the main villain of 2014’s Guardians of the Galaxy is made to look like a complete wet-wipe, and so are the characters from GotG for struggling against him in that film. When a character is just stupidly overpowered like this, it disconnects the audience entirely from empathising with the character; if we get a second Captain Marvel flick, are we meant to actually believe that the Supreme Kree Intelligence can actually stand up to Danvers? This poses a disturbing dilemma for Endgame, in which Danvers is set to play a role. How are we meant to believe that Thanos, even with a fully-assembled Infinity Gauntlet, can stand up to Captain Mary Sue’s heat rays and super-Saiyan energy blasts? But the issues with Captain Marvel go beyond just the character. The film relies too heavily on previously-established characters like Nick Fury to drive the plot, which is clearly because the new characters are bland as a loaf of stale bread. Lashana Lynch as Danvers’ old air force colleague Monica Rambeau is a complete vacuum of a character – the set piece in which she fights alien (!) mercenaries (!!) in an ordinary 1990s-era fighter jet is not only ridiculous, but derives heavily from Martin Freeman’s turn as the bumbling Everett Ross in Black Panther. At least that character had a personality, though. Ben Mendelsohn gives playing Green Goblin ripoff Talos a decent go, but his distracting Australian twang and misplaced comic humour is extremely grating, and his actions throughout the first half of the film make no sense. If they had always intended to bring Danvers over to their side, then why didn’t they simply explain the truth of the situation when they had captured at the very start of the film? Why fight her in the SHIELD archives? Why act like a baddie at all? The CGI cat demon thing was a nice touch, but the way it disposed so easily of countless Kree goons just helped contribute to the feeling that the last third of the film was entirely throwaway. The end scene where Fury decides to name the ‘Avenger Initiative’ after Danvers is the only part of the film which actually convinced me that this film had any importance in the Marvel chronology at all. Overall, the problem with the film is that it’s entirely throwaway, and superfluous in the greater scheme of the MCU. I understand that making a female-led film was an important move for the MCU, but I don’t understand why they had to choose to focus on such a boring character. There are countless more interesting female heroes in the Marvel universe; Black Widow, Spider-Woman… even Squirrel Girl would’ve felt fresher than what this film ended up becoming, an ill-advised rehashing of the very first Thor. If directors Ryan Fleck and Anna Boden want to make a superior sequel, then they need to show why Carol Danvers is strong without these ludicrous powers. Captain Marvel is in cinemas now. Avengers: Endgame opens on April 26th.